The perfect way to add a subtle pop of colour to any makeup look, this Simply Pretty Cheek Color is light as air and gives your cheeks a gentle bloom of natural color, suitable for any occasion. Gives you healthier looking complexion. Easy to apply and long wearing. Explore the entire range of Blush available on Nykaa. 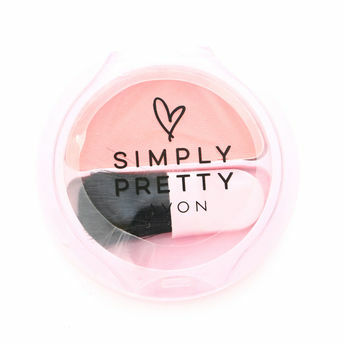 Shop more Simply Pretty products here.You can browse through the complete world of Simply Pretty Blush .Alternatively, you can also find many more products from the Simply Pretty Cheek Color range.